At the Durham, North Carolina, law firm of Jill E. Burton & Associates, P.L.L.C. you will meet with professionals who value their own family relationships and are committed to respecting every aspect of yours. Members of our legal team are independent parents who recognize how essential it is to maintain close relationships with your children. If you are facing divorce and anticipate any challenge in resolving child custody or parenting time, working with an experienced lawyer is essential. Our firm is devoted to vigorously representing men and women as they protect and pursue positive outcomes. Contact us today for help. Physical custody: Which parent will the children live with the majority of the time, or is joint custody (shared time between two homes) a viable solution? Legal custody: Will both parents have access to information about their children's schooling, medical care and other important matters, and collaborate in making major decisions — or will one parent have this legal right? In almost every divorce with children, custody is an issue at some level. Whether you want to fight for physical custody, have specific goals for visitation time or have another scenario in mind, we will provide sound counsel. We have obtained physical custody for both men and women, and handled numerous cases resulting in joint child custody. If parents can agree, a consent order can bring a relatively quick resolution. When there is a dispute, it is mandatory in most counties — and often advisable elsewhere — to enter mediation. Attorney Jill E. Burton — one of just a few Board Certified Family Law Specialists in the Durham area — offers the experience and perspective gained by having represented many mothers and fathers in mediation and served as an objective "third party" mediator in divorce and child custody cases. 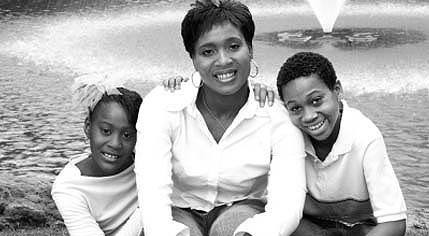 We encourage you to contact our family-oriented law office for the help you need.